It all started when I was fed up with smartphone cameras. I have purchased so many smartphones over the years hoping one would have a superior camera. When Sony came out with it’s QX-10 Attachable Smartphone Camera, I liked the concept, but have always been apprehensive when it comes to Sony. Sony seems to always be on the cutting edge with their ideas, but they often fail to execute well on them. When Sony released the QX30, an updated version of the QX10 with a better zoom range, I decided to give it a try. I quickly fell in love and wanted more. 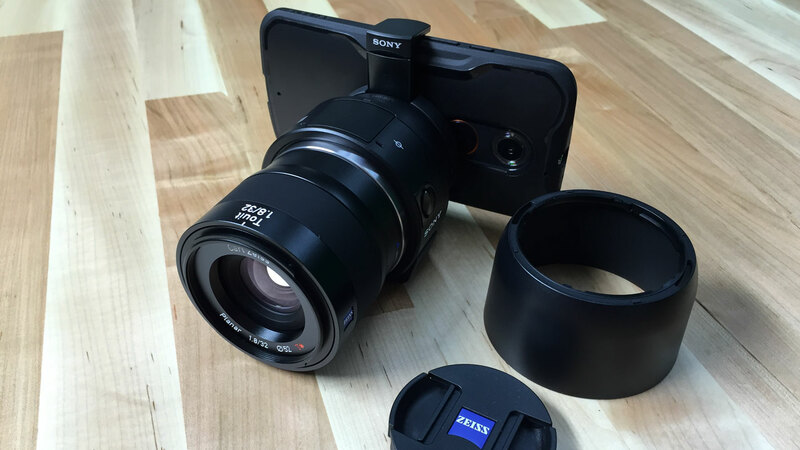 The Sony QX1 Smartphone Attachable Camera, spoke to my desires. The QX1 would allow me to attach any Sony E-Mount lens to achieve what I was used to with DSLR cameras. I had read a lot of good things about the sensor inside of the QX1, which is the same sensor found in the Sony Alpha a6000. Sony has led the way with mirrorless cameras, so I felt pretty confident. I paired the QX1 with a Zeiss 32mm 1.8 lens. This was my first Zeiss brand lens. I was now loving Sony and Zeiss and was trying to talk myself into purchasing more Zeiss lenses. When I had the QX1 attached to my smartphone, it turned heads. Everybody asked me what it was. It was like something they had never seen before. When I explained that it allowed me to take DSLR quality photos with my smartphone it was obvious that I was not the only one who had this pain point. Everybody I talked to wished their phone’s camera performed better. The QX line of cameras allowed for this. This led me to wonder about the Sony Alpha A7S. I had been watching reviews of the camera and was blown away at it’s low light performance. For what I most commonly shoot, good low light performance is a must. I now had an A7S on order and was eager to take the first step to seeing if switching to Sony might be a thing to consider. The Sony A7S arrived. I pulled it out of the box and immediately before even turning it on knew it was a superior product to any other camera of it’s kind. I powered it up and took a few test shots. What an amazing camera. I was sold. The real deal sealer for me was the ability to easily connect the camera to my smartphone and transfer photos. This is what I wanted the QX camera for and now I was able to do it with the A7S. With the A7S, when you are viewing a photo you just took, you simply tap your NFC enabled phone to the side of the camera and the photo is instantly transferred. This blew my mind. I was also able to control the camera from my phone, which you can also do with Canon, but the connection process involves a few more steps. I was quickly envisioning how I would sell off all of my Canon gear so that I could purchase all new Sony gear. Thankfully, I am a pretty discerning person who does not make irrational decisions that often. I already felt like I was in some sort of extramarital situation having all of this Sony gear on my desk while my Canon equipment sat behind me in my camera bags. Here is where the Sony experience begins to fall apart. Sony does not have many lens options. Sure they have the typical zooms and primes but most of them begin at f4.0 aperture. A great deal of their lenses have a variable base aperture, which I don’t like. I dislike the aperture changing as I zoom. It’s just another thing you have to pay attention to. I don’t need my exposure changing as I zoom in and out. Sony certainly is more affordable because there are less lens choices and their camera bodies are cheaper than Canon, but the lenses are not there. When you look at lenses that are made for the full frame mirrorless sensor, there are even less lenses available. If all I was doing was shooting video, I would make the switch, because I could use lens adapters. I am ok pulling manual focus at this point. However, when shooting photos, I need that autofocus. Using a lens adapter would slow the autofocus down. I felt that the Sony A7S was pretty quick with autofocus, but not quite as fast as my Canon 5D MKIII. Adding the lens adapter would just slow it down even more. I still felt that the Sony camera was amazing. If everything I shot was outdoors during prime daylight, I would switch to Sony. I am sure that there will be a larger variety of E-Mount lenses over the next few years, but in order to make the switch, I would need the equivalent of what I already have. As I came to this conclusion I decided that it would probably be best for me to walk away from Sony for the time being and at least wait to see what the next generation of Canon cameras brings. This has been the only time I have considered something other than Canon. Canon has been good to me over the years. I have never had an issue with my Canon gear, so deciding to make a change of this level was causing some anxieties to say the least. I need to have the best gear to capture the highest quality photos for my clients. I am able to do this for my clients with my Canon gear. 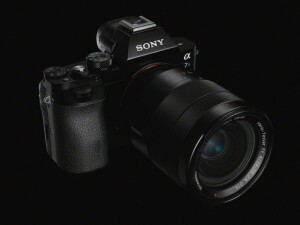 I know that I would have no problem with Sony, but the lens situation frightens me. I would not be able to get rid of my Canon gear unless I had a couple of weddings and video shoots under my belt using all Sony gear. I don’t have the money to float having two of everything at this point, so I am going to stick with Canon. I realize that my complaints are trivial. I wanted to be able to get photos from camera to phone quickly and wanted the latest technology, but Canon works for me and it’s solid. There is no reason for me to change at this moment. If I had to start all over again with gear, I would probably start with Sony, but I have everything I need right now with my Canon setup. Who knows what the future will hold. If Canon does not step up their game, I will probably revisit the idea of switching to Sony. It has been a long time since I have looked at Sony with such excitement. They seem to be innovating much more than Canon is these days. Only time will tell where I end up. New features provide new possibilities. I am always looking for something new that could give me an edge over my competition. One of your friends posted a quick note to the Sony Camera Club forum on Flickr, and suggested we might want to leave you a reply to this post, so I will. As a long time Minolta user, of course, I’m using Sony now. I’m not a dedicated professional photographer, and from what I’ve seen, the 5D MkIII is probably *the* professional camera. It would be hard for you to move from that platform to a brand new platform. However, if you still have the QX1 and the A7S, I would suggest keeping one of them (the A7S) and building up your lens collection as Sony comes out with new product lenses. I have the QX-10, which I bought as a ‘better replacement’ for my Samsung Galaxy 5’s internal camera, and I’m happy with it, although it’s very slow and locks up a lot. I don’t know if that’s been replaced with the QX-1. My personal opinion is that the a6000 would be a better choice over the QX-1 and it still has NFC, IIRC. Plus, it’s a little bit more secure, instead of having something accidentally snap and have the QX-1, lens and all the other stuff falling off your smartphone. But, I do encourage you to buy Sony as you can, and slowly migrate from Canon to Sony, since I think you’re getting a better product in the long run.